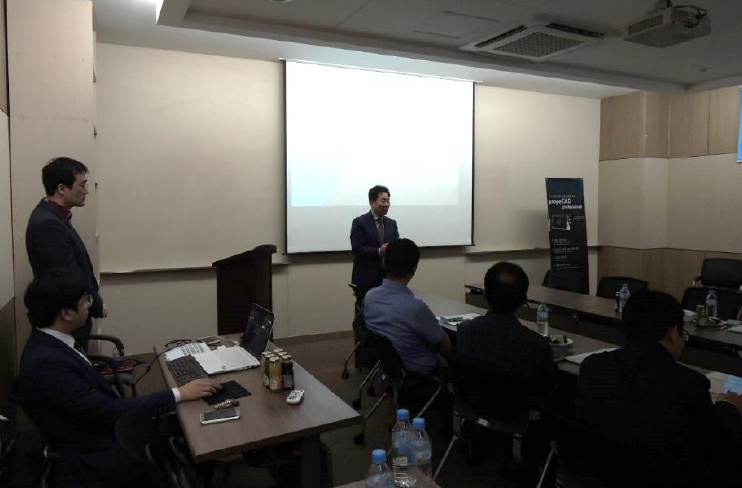 PlainSoft, progeCAD Distributor in Korea, held a strategic progeCAD Partner meeting on September 27th, 2016, dedicated to a notable event, the release of the new Korean version, progeCAD 2017 Professional. PlainSoft has developed a fine network of Valued Partners in a short period of time and together they are striving to secure steady growth of progeCAD on the Korean market. The first version in the Korean language, progeCAD 2016 Professional, had the enthusiastic response of its users. The eagerly awaited 2017 version is already out and offers a series of new features: DWG compatibility from AutoCAD® 2.5 through AutoCAD® 2017, the Ribbon interface, 64-bit and multi-core support, new editing commands and many more. Almost all the Valued Partners were present at the meeting the focus of which was a deep analysis of the progeCAD market and a thorough comparison of the product with its main competitors. One partner, the Clickinfo company, made a technical demonstration of the Mechclick software running on progeCAD. After progeCAD 2016, Korea has confirmed its interest in a stable, complete and low-cost DWG CAD. Damiano Croci, COO at ProgeSOFT SA, commented: “We are highly pleased with the success of progeCAD on the Asian market, in particular, in Korea where now we have an active and strong Distributor who has created an efficient sales network in just no time. We hope to go further so as to be able to propose the software package most suitable for this market”. More information on progeCAD is available at the official website and about the Korean version can be found here. The AN-Cad Solutions Company, the ProgeSOFT Partner in Finland, will present progeCAD 2017 at the 3D Step Conference and Exhibition, taking place at Tampere Hall on October 4th and 5th, 2016. AN-Cad Solutions is going to showcase the latest progeCAD 2017 Professional, the low-cost 2D/3D CAD software offering the AutoCAD® look-and-feel, DWG 2017 compatibility, the 64-bit version and many other new features and tools. At the 3D Step Event visitors will explore the latest innovations and practices in the the field of Additive Manufacturing. This international industrial fair can be considered as the largest professional 3D event focused on metal printing in Scandinavia. Its program includes keynote speeches, case presentations, workshops, one-to-one meetings with specialists, investor and inventor meetings. For example, some sessions and workshops will address such topics as Future Manufacturing, Hybrid Manufacturing, Design for additive manufacturing, Topology optimization etc. progeCAD will be demonstrated to all interested in CAD, all visitors are invited to grab at the chance to better understand the software potential, its tools and features. Various professionals from engineers and constructors to architects and designers will attend the 3D Step Conference and Exhibition and the progeSOFT partner will be pleased to share his experience and knowledge with them. The AN-Cad Solutions team will be at your disposal to give more information about the software and to find the best licensing solution most suitable for your needs. As always we invite you to follow the blog and our social pages on facebook, twitter, google+, linkedin to be updated on future initiatives and to share with us your pictures from the 3D Step exhibition. The SoliCAD Company, the ProgeSOFT Czech and Slovak Partner, is looking forward to meeting you at the International Engineering Fair 2016 (MSV) in Brno (the Czech Republic), from Monday, October 3 through Friday, October 7, 2016. SoliCAD will be presenting the latest version of progeCAD 2017, the 2D/3D DWG/DXF-native general-purpose CAD application, an economic alternative to AutoCAD® and AutoCAD LT® to all fair attendees. In total, approximately 1,600 exhibiting companies and 75,000 visitors are expected to attend MSV 2016. It is the largest industrial fair in Central Europe showcasing new technological developments. Industry 4.0 along with the traditional cross-sectional automation project are among the key themes of the fair. China, being the Partner Country of MSV 2016, can boast of a large number of Chinese companies participating in the event this year. Startups are another highlight of MSV 2016 with a presentation of emerging innovative companies and projects that are primarily focused on the use of information and communication technology in engineering and manufacturing taking place during this 5-day international event at the Brno Exhibition Centre. There will be demonstrations of progeCAD to all the interested visitors who will have a chance to gain an insight into the software tools and features and to find the most suitable solution for them and their businesses with the SoliCAD Team. ProgeSOFT invites constructors, engineers, architects, designers and other industry professionals to visit SoliCAD’s exposition located in Hall P, Stand N°016. For more information about the progeCAD software, please visit our web sites: www.progesoft.com and www.solicad.com To get in touch with the ProgeSOFT office in the Czech Republic, please find their contact details here. We invite you to follow this blog and our social pages on facebook, twitter google+ to be updated on future initiatives. ProgeCAD’s Finnish Partner, AN-cadsolutions, is participating in the International tradeshow, Alihankinta Subcontracting Fair 2016, held from September 27th to 29th at the Tampere Exhibition and Sports Centre. AN-cadsolutions will be presenting the latest version of progeCAD 2017, the low-cost 2D/3D CAD application with the AutoCAD® look-and-feel, offering DWG 2017 compatibility, the 64-bit version, DWGConverter, PDF to DWG Conversion and many other useful features. 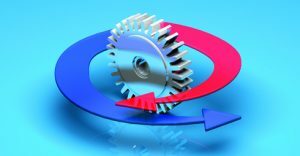 Most events on the programme of the Subcontracting Trade Fair 2016 are in Finnish but a good number of seminars will be held also in English, for example: The Future of Manufacturing (September, 28th), Subcontracting in the Czech Republic (September, 29th), Poland, your Business Partner (September, 30th). The exhibition organizers have made sales and marketing as well as new materials and techniques the trade fair themes. The Subcontracting Trade Fair offers a good forum for architects, designers, technical professionals and visitors in general to discuss how they can boldly take over the world with Finnish products. AN-cadsolutions, ProgeSOFT Partner in Finland, is joining this exciting event to present the new features and tools of progeCAD 2017 Professional. They are looking forward to meet visitors at Stand C124 where the visitors can familiarize themselves with the best low-cost CAD currently in the market. An-cadsolutions will eagerly give more information about the software to any attendee. We invite you to follow this blog and our social pages on facebook, twitter, google+, linkedin to be updated on future initiatives. 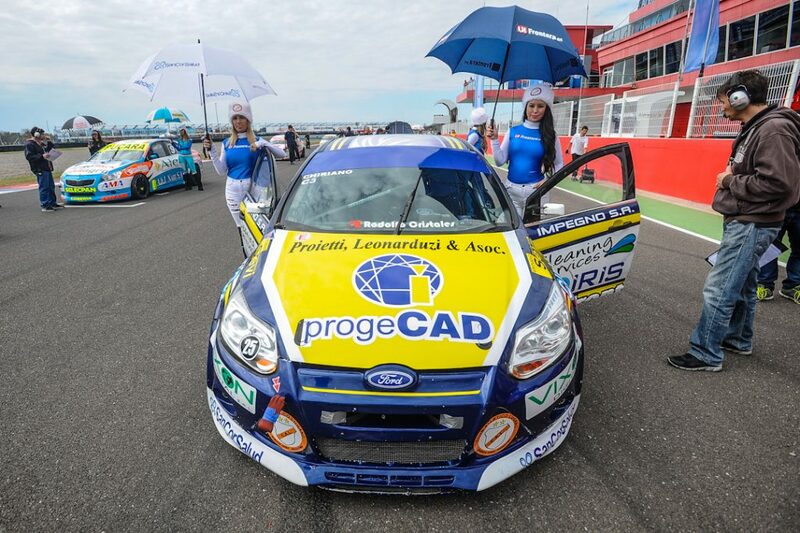 The ProgeSOFT partner in Argentina has sponsored the champion Adrián Chiriano, an Argentine rally driver, competing now in the National Tourism Championship Class 3 in Argentina. ProgeSOFT Argentina eagerly took part in the sporting event renown internationally, “Turismo Nacional” rally car championship, by becoming a sponsor for the rally driver Chiriano and so, contributing to one of the most spectacular and challenging sport disciplines of the world as auto racing is. The teamwork, commitment and determination of Chiriano’s group are the same values that the ProgeSOFT team cherish and which helped the company produce such a product as progeCAD, the powerful CAD application known worldwide. The Championship “Turismo Nacional” Class 3 consists of 12 rounds that keep spectators in Argentina and not only glued to their television screens during the rally competitions from last February and up to December when the winner will be decided. 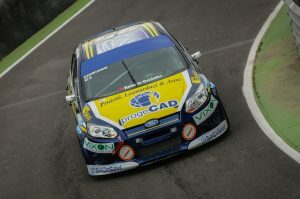 In the Termas de Rio Hondo round, Chiriano’s rally car had some problems with the engine in a warm up lap that prevented him from making a good start and gaining position in the Sunday competition; Adrián arrived tenth in this round. Yesterday, the San Jorge round went off better, Chiriano gained position and important points finishing his heat race in fifth and taking tenth place in the general classification. We are all looking forward to the next round on the 9th of October 2016 where Adrián Chiriano will be running on Alta Gracia’s autodrome circuit. ProgeSOFT invites you to follow the National Tourism Championship here. The attention of all CAD enthusiasts and rally car supporters is also attracted to the possibility of downloading a free trial version of progeCAD 2017 Professional available here All the video tutorials relating to the program can be found online in the YouTube official channel while the latest news is on facebook, twitter, linkedin and google+.